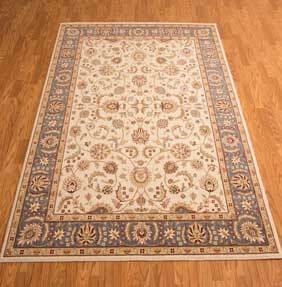 Put quite simply this breathtaking collection showcases beautifully bordered medallion designs combined with intricate scrolling and interlacing foliage, this floral collection flourishes in the traditional Persian style we are accustomed too. Furnished in luminous colour tones and fabricated from 100% pure wool, these splendid rugs are resilient, simple to care for and sure to make a big impact on a decor. Choose from five colour options, each made in five standard sizes, these include a hallway runner and large sizes.